A durable duffle bag with roomy compartment that will be your best companion for the gym, or taking a weekend trip with your friends! 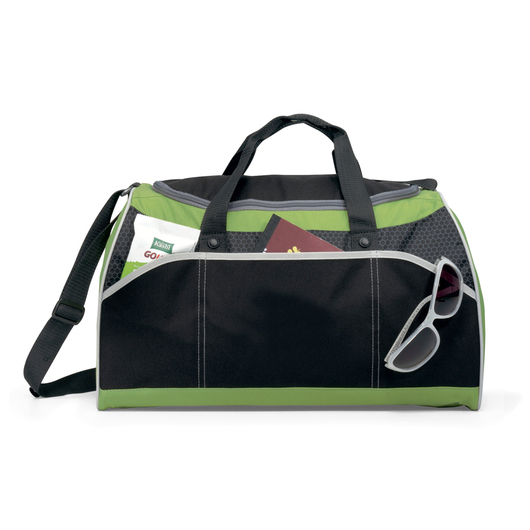 Carry all your items comfortably and efficiently with our stylish duffle bag. 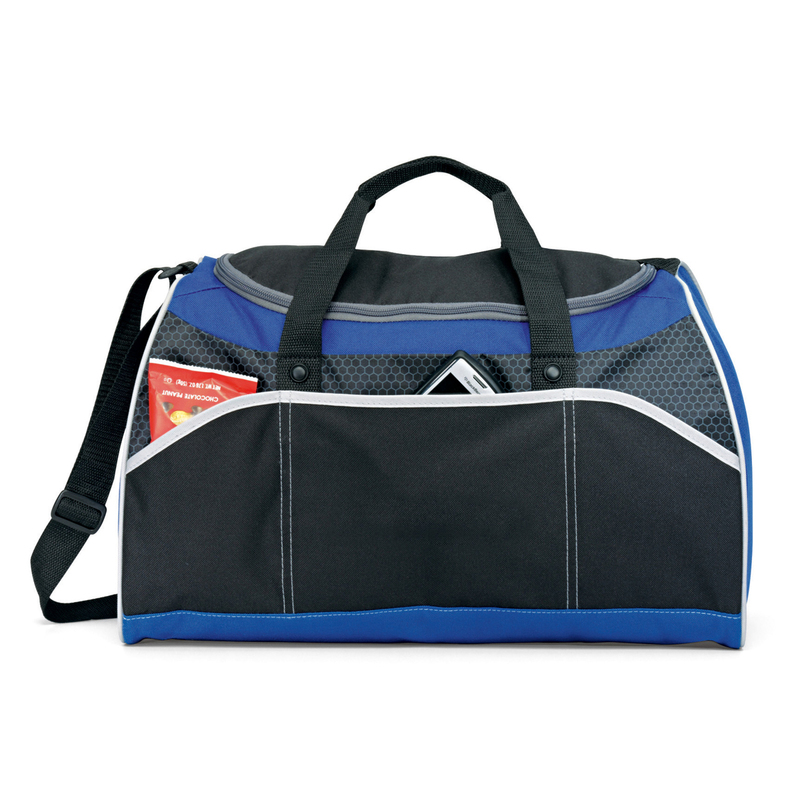 Navigate your way through any activity with this great looking duffle. Made from 600D polyester with contrast honeycomb accent and a carrying capacity of 32 litres, this will surely be an ideal bag for your travel needs. It comes with a adjustable shoulder strap, 3 front pockets, back panel is black, top grab handles, and a large main compartment. Keeps your clothes & items organised. Ideal travel or gym bag.